THE TRIO: Senior Thapa (centre) with his son, Prahlad Thapa Magar (right), and grandson, Bimal Thapa Magar (left). 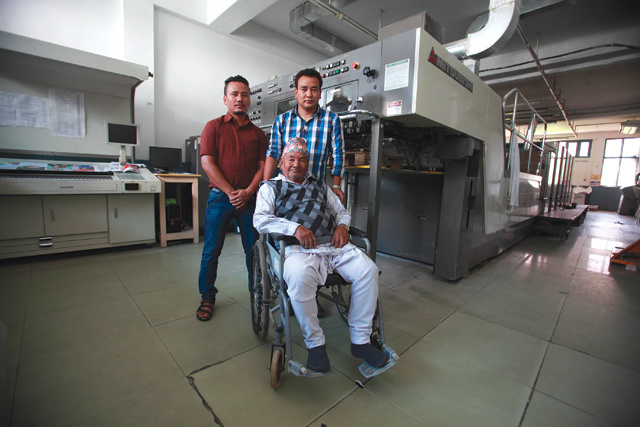 Never in his wildest dreams had Man Bahadur Thapa Magar — then in his twenties — imagined that there would one day be a machine in Nepal that could print more than a thousand pages in less than one-and-a-half hours. These speed-of-light machines existed only in Kolkata, or so he had heard. “It is much easier today. Before, we had to use both our hands and feet to operate the machine,” said the now 81-year-old printer, recalling his days at Jagadamba Press. Thapa was, for the longest time, the only person who knew how to operate the letterpress printing machine. Teamwork was the lynchpin. 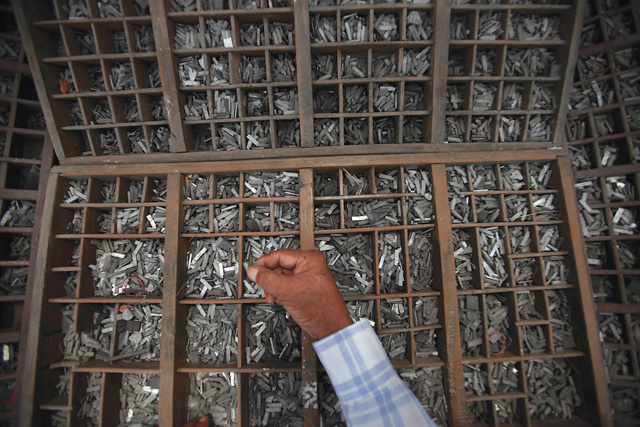 Ganesh, Thapa’s workmate, would choose the individual letters from the neatly arranged storage compartments, meticulously place them on the composing stick, and pass that on to Thapa. Thapa in turn would bring the machine to life with his foot, and insert the paper with one hand while the other remained fixed on the handle. By tuning his body movements with those of the machine, he also became attuned to finding balance in his life. 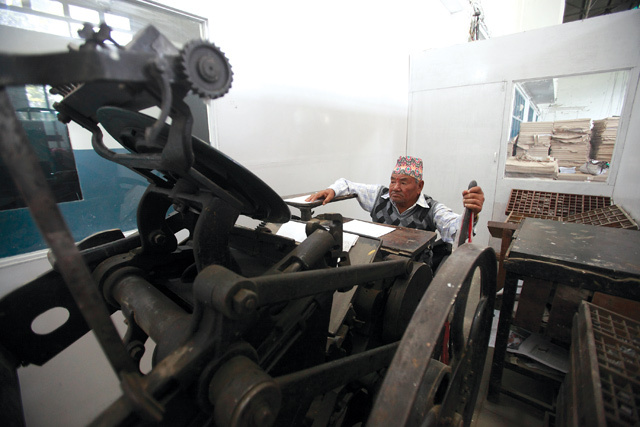 LIFE'S DEVOTION: Man Bahadur Thapa Magar operating the classic letterpress printing machine at Jagadamba Press, Hattiban. 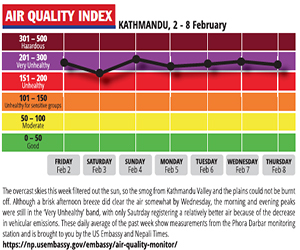 “We had to work for hours while standing,” said Thapa, fondly recalling stories of yesteryears. Like the time they stayed up all night to print tickets for Sajha Yatayat or when he injured his left thumb while working the machine. 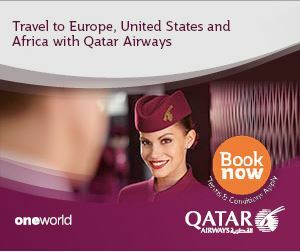 “Back then, I never felt it was difficult or tedious. It is only now, when I am in this condition, that I find myself wondering how I did it,” said Thapa, who is now wheelchair-bound after he sustained a fall. After leaving his job at the palace in 1958, Thapa devoted his entire life to the press and finally retired a decade ago. But, his legacy is being carried on by his son and his grandson. Although both operate the modern printing press machines, they are familiar with the workings of the old letterpress equipment. “We used to visit our father during school holidays, and he taught us how to compose the words,” said Prahlad Thapa Magar. Even the 39-year-old is surprised by how fast the world of printing has evolved. What used to take an hour or two for his father to accomplish now takes him merely five or ten minutes. Influenced by his father, and encouraged by how easily he managed to learn the ropes, Prahlad abandoned his dream of enlisting in the army, and joined the press. “To see one’s work come out in great quality — with fine colours and the eye-catching print — is what keeps me going,” said Prahlad. The newest family member on the block is Bimal Thapa Magar, Thapa’s grandson and Prahlad’s nephew. Observing the workers running around frantically to adjust the colour, match the ink, set the paper and get everything just right, transformed into his love of working at the press. “This is what I wish to do until late in life,” said Bimal who confided that the only time he gets frustrated is when his shifts are mostly in the night or when the hours stretch too long. "We salute the Nepali people..."